We are very demanding with ourselves. One of our demands is to be authentic. Therefore we only make wine from our 145 hectares of own vineyard and we ferment our wines with a selection of yeasts from our vineyard. All followed with a clear philosophy of respect to the environment and organic farming. We put a lot of effort into R&D with a clear aim in mind: to keep a natural balance while making the most of the new technologies and opting for new research, development and innovation projects as a way towards improvement. In 1994, Bodegas Ochoa became the first winery in Spain to undertake an R&D Project. Ever since then, we have maintained a steady program of investment and experimentation, with undiminishing respect and commitment to integrated agriculture. Since 2015 we are in conversion to organic certification for both grapes and olives with the collaboration of the CPAEN. Years of work, research and experimentation have taught us that careful viticulture and low yields are the only way to achieve a great wine. Our innovating spirit is never at odds with allegiance to our legacy. Our current vineyards are the offspring of the old vines of our ancestors. 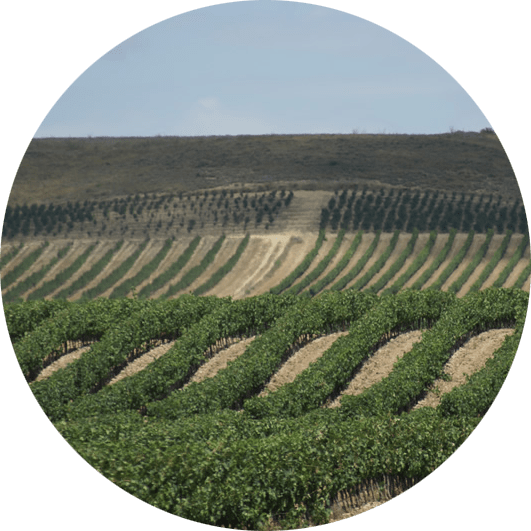 Research has enabled us to use vegetative multiplication on a selection of the best strains in order to continue producing the quality of wine required to carry the Ochoa label. 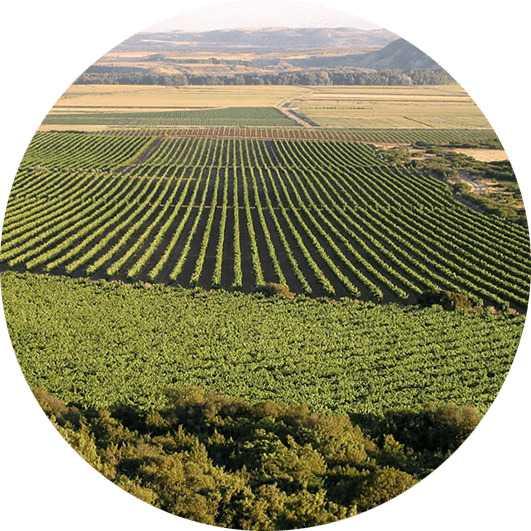 Health and ecology are two more basic issues for Bodegas Ochoa: we practice organic viticulture, which means that we treat the soil in the same way as our grandparents but using the latest technology. We have selected 4 yeasts to ferment our grapes from a family of 160 yeasts present in our vineyard. We have a multiplier of these yeasts that we use at harvest to ferment our wines with the most original character and respectful conditions. Esta empresa ha recibido una ayuda cofinanciada al 50% por el Fondo Europeo de Desarrollo Regional a través del Programa Operativo FEDER 2007-2013 de Navarra. “We don’t run Bodegas Ochoa by the calendar or by the clock. It is a fine, highly aromatic black grape. As its Spanish name (temprano means early) suggests, it is an early-ripening variety. A great grape to blend or as a single varietal. Also great in young wines and in aged wines. It is a white grape with a very powerful aroma and high sugar content. When it over ripes, the concentration of sugar joins the concentration of acidity. Therefore we have very fresh wines. A black grape, low in yield, it has an intense, stable colour, small fruits, thick skin and is slow to ripen..
A white, high-yield, late-budding variety, also known as Macabeo in other regions. It gives freshness to our white wines and citric aromas. A purple, very low-yield, late-budding variety; its wines are very highly-rated because of the tannins, color and great ageing in bottle. A high-yield, black grape that gives a well-textured, full-bodied, deep-coloured, lusty wine. Very juicy for red wines and wonderful with Rosados. White grape native to the Bourgogne region of France. Considered the queen of white grapes. Great aromas of pineapple arouse in wines with this grape. Black grape with great structure that gives roundness to wines. 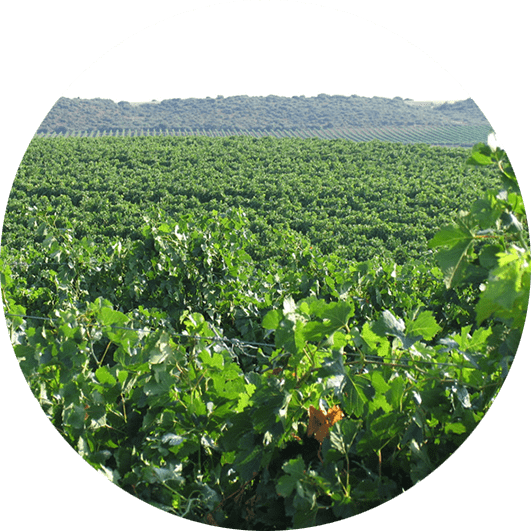 Low yielding grape that is also very versatile to make rosados and red wines. Great in young wines and in ageing ones too. 38,1 Hectares of Moscatel de Grano Menudo, Cabernet Sauvignon and Garnacha. 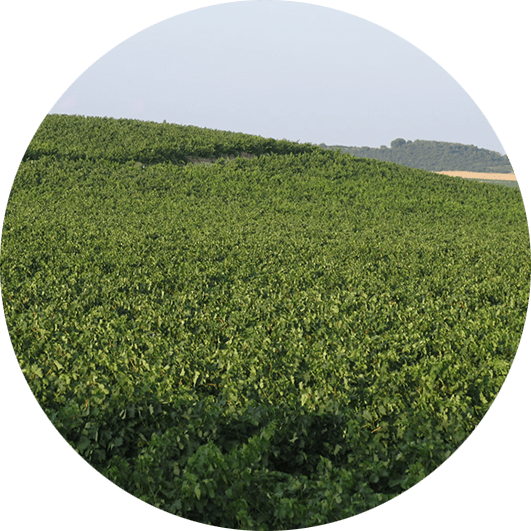 The soil is calcareous clay and the vines face south, guaranteeing good sun exposure that reduces the need of treatments in the vines, allowing to integral viticulture, respecting the environment. 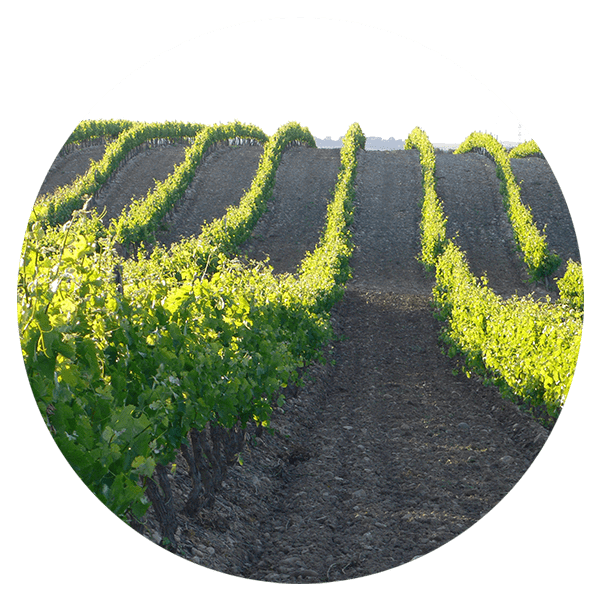 The low quantity of organic material in this soil reduces the yielding in this vineyard. 55 hectares of Cabernet Sauvignon, Tempranillo & Olive trees. Very deep calcareous clay soil, good drainage with low yields. The experimental parcel with more R&D projects. 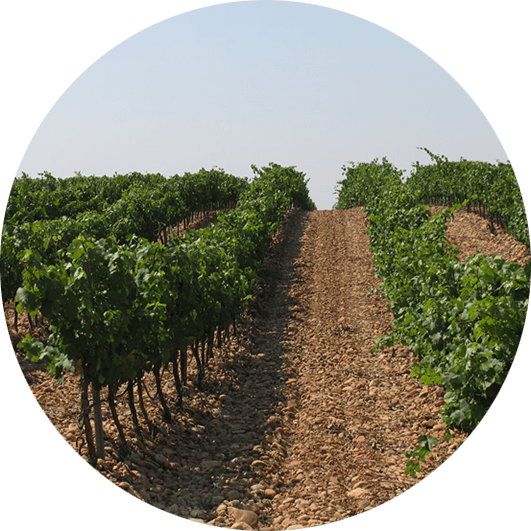 Different projects carried out with UPNA (Public University of Navarra) to improve the quality of the grapes with green covers with great results, both in grape quality and soil structure, together with the agro benefits related. The first parcel of our own to be certified organic in 2018 vintage. Calcareous clay soil with stunning stones, very fresh parcel, that has always proved to give exceptional quality. Very good drainage, health and ripeness. This soil transmits good minerality making the wines more complex and special. Very stony soil, carlcareous with light inclination, ideal for this special grape. It is a difficult grape to grow but its result is worth it: rustic and elegant red wines. 45 hectares of Moscatel de grano menudo, Viura, Chardonnay, Merlot & olive trees. This is the parcel with longest lines because it is one mile long. In it you can find different grape varieties and olive trees. The soil is calcareous clay and ideal for white grape varieties and black grape Merlot. It adapts very well to the most stony areas, giving minerality and structure to the wines. This is a very special parcel for us. It is located in Olite, next to the winery with the oldest vines, from where we make Finca Montijo, a limited production red wine with a beautiful light colour. It is the origin of our grand cru.